Bass fishing is a finesse sport, but even the best can go through rough patches. When you’re on the lake and it’s been one of those days where all of your go-to lures aren’t working, try the classic rubber worm. For years a rubber, shaky-head worm has been the bait that gets you out of a slump and still hauls in the monsters. Not only are there more choices on the market today than ever before, but they’re better than they’ve ever been. You can stick with the classic Berkley Powerbait worm, or try some of the newest baits with some modern twists. The Warlock Head jig by Missile Baits is one of my personal favorites. 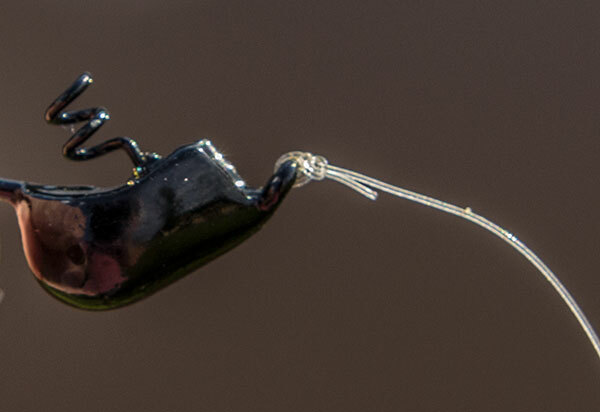 This jig head has an almost slinky-like piece sticking out so that it’s extremely easy to make it weedless, and you don’t have to thread the worm through the hook. I seem to have trouble threading worms and ruining the bait and with this jig head, you’ll never have to worry about it again. This jig has a wide, rounded bottom that skips easily through the rocks and weeds and makes the worm really shake. This setup is perfect for submerged brush. Another personal favorite is the Aaron Martens Shaky Head. This jig and hook shakes back and forth when rigged up and the moves well among rocks. 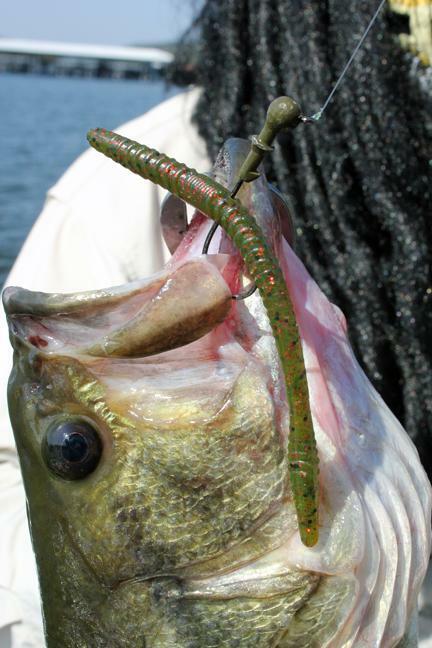 Bass like to hold up in the rocky areas and this jig head is the perfect tool to lure a largemouth out of the shadows. When the bottom is clear, the shaky head can be seen moving up and down and is purely ir-resistable to any largemouth bass in the area. The next time you need to get out of a funk that has left you without a big bass in the boat, try one of my go-to lures for getting a largemouth in the boat.